But Fleare Haas, fighter for Society Otherwise has had a long time to plan her next move. Sprung from her remote monastery prison and reuniting with a team of loyal friends, Fleare’s journey will take her across The Spin to the cluster of fallen planets known as the The Catastrophe Curve - and from exile, to the very frontiers of war. Meanwhile, in the brutal and despotic empire of The Fortunate, word is reaching viceroy Alameche of a most unusual piece of plunder from their latest invasion. 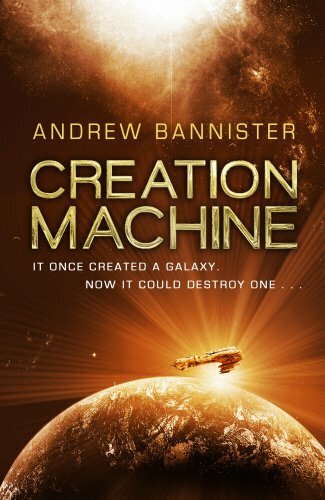 For hundreds of millions of years, the bizarre planets and stars of The Spin itself have been the only testament to the god-like engineers that created it. Now, buried in the earth of a ruined planet, one of their machines has been found . . . This is a title that has taken me quite a while to get round to and then after reading, I had to take my time to get my thoughts together about it. Its not that its a book that I hated but there were elements that worked well and then the problem area's for me. Firstly lets concentrate on the good. 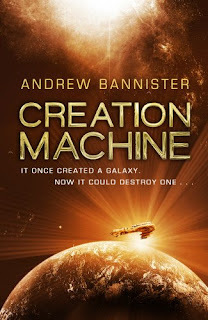 What Andrew does well is create a universe that feels not only realistic but one that you'd love to explore, the action sequences are well constructed and of course the prose works for the space opera title very well. However for me the major problems I had with the book is principly to do with the characters. The support cast were littl emore than 2d stereotypes and the lead for me was a spoilt, arogant stuck up little princess who I absolutely hated and could find absolutely no common ground with to form a bond. OK, thats harsh but its a bugbear of mine. I need people I want to root for to stand beside as we travel the stars. All round a book that whilst i saw potential was one that whilst I have made a note of the author to look at future series is not a place I wish to return to any time soon.